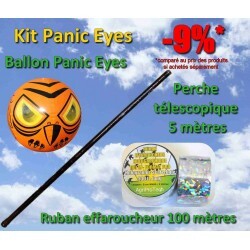 Bird Scarer Ball - Complete Set There are 3 products. Cost saving solution to avoid bird damage. 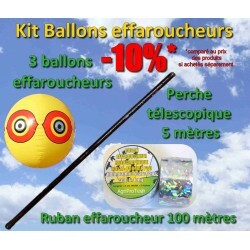 this sert contains : 3 bird scarer ball (3 differnt colors), 1 holographic bird tape (100 meters long) and a 5 meters telescopic pole.